New Zealand’s Superannuation Fund has written down its $47.5 million (NZ) investment in ducted turbine promoter Ogin. The Kiwi pension fund’s release on 21 April said it wrote down its total investment in the American startup formerly called FloDesign. The release was in response to an official information request by a citizen questioning the investment. The fund said that some rights to Ogin’s technology was sold to commercial wind turbine manufacturer Vestas and hired Sherwood Partners to sell off any remaining assets. Sherwood calls itself “the Terminator of Startups” and offers companies “alternatives to bankruptcy”. Kiwi critics of the fund’s investment have long questioned the choice of Ogin, warning that the fund’s due diligence was inadequate. Ogin’s design arrived in a blaze of high-powered hype across the tech press in 2008. DOE’s Arpa, and MIT’s Technology Review swooned over what was, once again, supposed to be breathtaking new technology. Backed by big name venture capital company Kleiner Perkins, FloDesign-Ogin raised untold millions to develop a ducted wind turbine, including investments from New Zealand and Alberta sovereign wealth funds. In 2012 New Zealand’s pension fund joined forces with the Alberta Investment Management Corporation and the Abu Dhabi Investment Authority to invest in tech startups. Kleiner Perkins was the partnership’s agent in seeking investment opportunities, such as the investment in Ogin. Ogin was unable to raise enough money to stay in business despite claims as late as August 2016 that its design produced superior performance to conventional wind turbines even when accounting for the shroud diameter. In a confidential document Ogin claimed that certification tests of its ducted wind turbine demonstrated that it could achieve a coefficient of performance as high as that of commercial-scale wind turbines after accounting for the shroud diameter. They also claimed that their next generation blade design would boost the performance of their turbine further, raising it above conventional wind turbines. The latter claim was not verified. 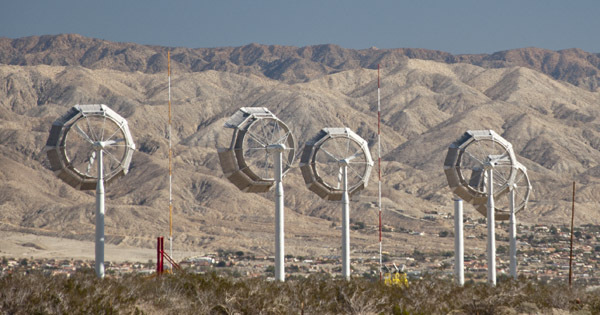 Ogin operated a small array of turbines near Palm Springs, California in the first half of 2016. The turbines were removed shortly thereafter. John Doerr III, managing partner of Kleiner Perkins, sat on Ogin's board of directors. He also was a board member of Bloom Energy, another unsuccessful startup. Former Vice President Al Gore joined Kleiner Perkins as a senior partner in late 2007. 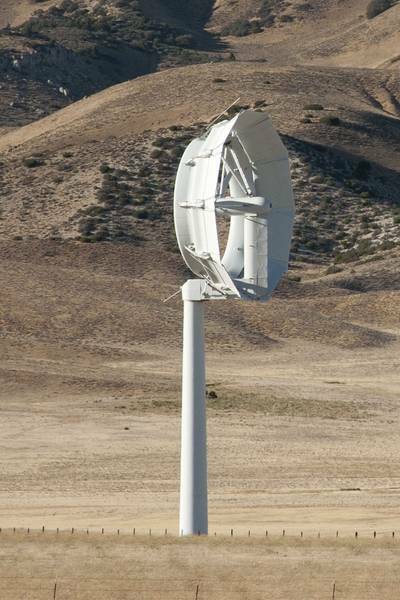 See Ogin Installs Ducted Turbines in the San Gorgonio Pass, and Ogin Ducted Turbines Removed Near Palm Springs.